Wicked Stuff! Totally amazing. Watch this vid! I said have you got a shiner? Now he's listening to Fall Out Boy instead! You great big bloomin' girl! 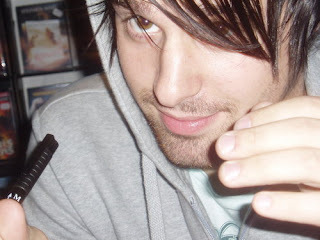 With his silky, shiny, straight emo hair! Difference between scene kids and emo kids? There is a recurring conversation at school, at home and here on the net over the differences between these various people. How can you tell the difference between the two? I have some friends that consider themselves scene kids. They are really nice people. The idea of being "scene" is usually knowing a lot about the local bands/music scene. 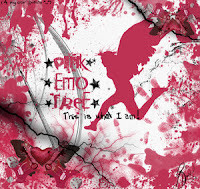 "Emo" is as always "Emotional" were as scene kids, I believe is more of the style and looking like an emo without the personality of it all. People who only follow the fashion and style, while emo kids follow the fashion, the style and the lifestyle. 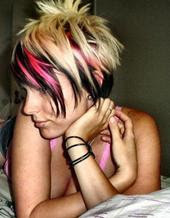 Girl, your hairstyle is seriously cool. Dark Blonde to Light Brown highlights without the brassiness. 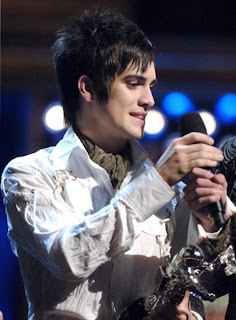 Dang Emo Hair is so cool..
Brendon Urie - lead vocalist of Panic! At The Disco, one of the best new bands. 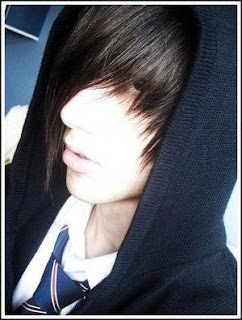 Nice emo hair gallery. Its on a myspace group but you don't need to be a member to view the album. Check it out here.